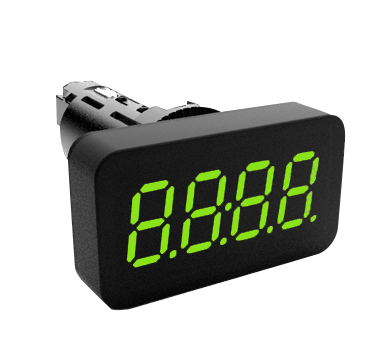 OMM 335UQC is 4-digit Universal Counter/Frequency Meter/Timer. The device is microprocessor based and is designed for good accuracy and ease of operation. 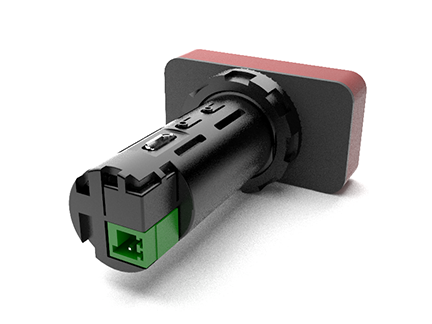 The circular section of the body of the box with a diameter of 22 mm allows for its fast and easy installation in control and monitoring panels by simply drilling a round hole, rather than creating a rectangular cutout. Can be loop powered. 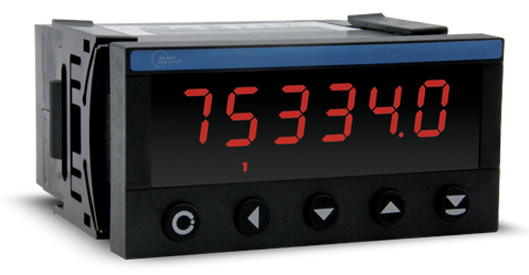 Model OM 653UQC is a universal 6-digit programmable panel instrument which measures count / frequency / IRC signals / time (clock/timer, stopwatch). It is based on a single-chip microcontroller, and features high accuracy, stability and ease of control. Model OM 602UQC is a universal 6-digit programmable panel instrument which measures count / frequency / duty cycle / IRC signals / time (clock/timer, stopwatch). It is based on a single-chip microcontroller with a gate array, ensuring high accuracy, stability and ease of control. 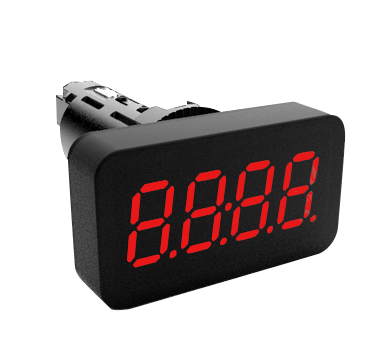 Model OMM 650UC is a small, inexpensive 6-digit panel programmable counter/ frequency meter/ timer. Instrument is based on a single chip microcontroller with an accurate A/D convertor, to provide high accuracy, stability and easy programming.